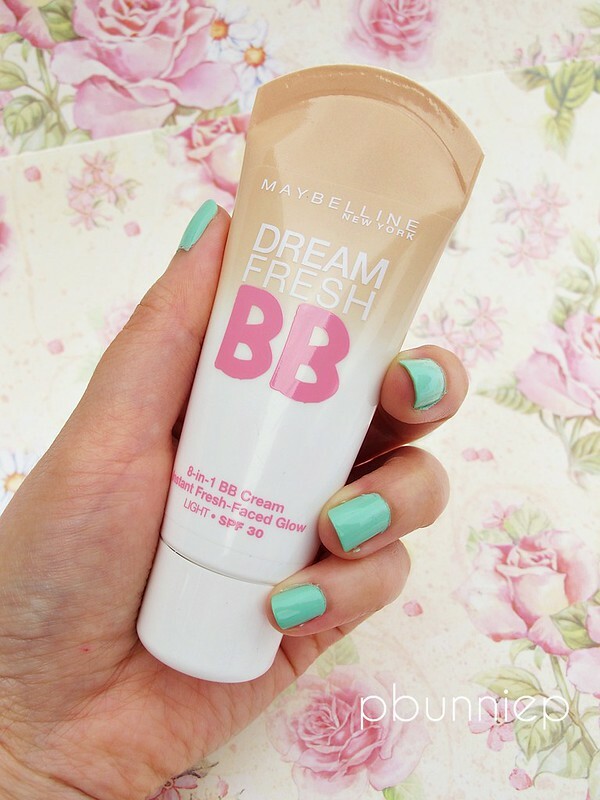 If you are looking for a few more options in the BB cream department, here comes Maybelline. It's been the new talk of the town since its release as our options for affordable BB creams are quite limited in Canada. Here's a look at the range sold in Asia, from the Maybelline China website. The original came in the blue tube, then expanded to other variations (purple and pink) and they have even come out with a foam BB cream! Little did I know that it was already on it's way here! 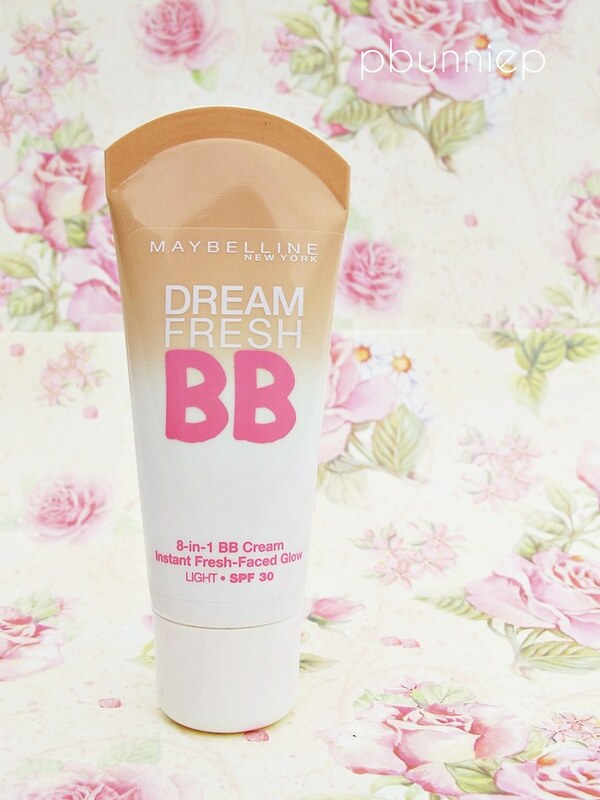 Soon afterwards, they ads for the Maybelline Dream Fresh BB cream started popping up everywhere and although I haven't spotted them in my local drugstore yet, I'm sure the stands will be up very soon! So is this really the dream product that it's hyped up to be? Watch my review video to find out! 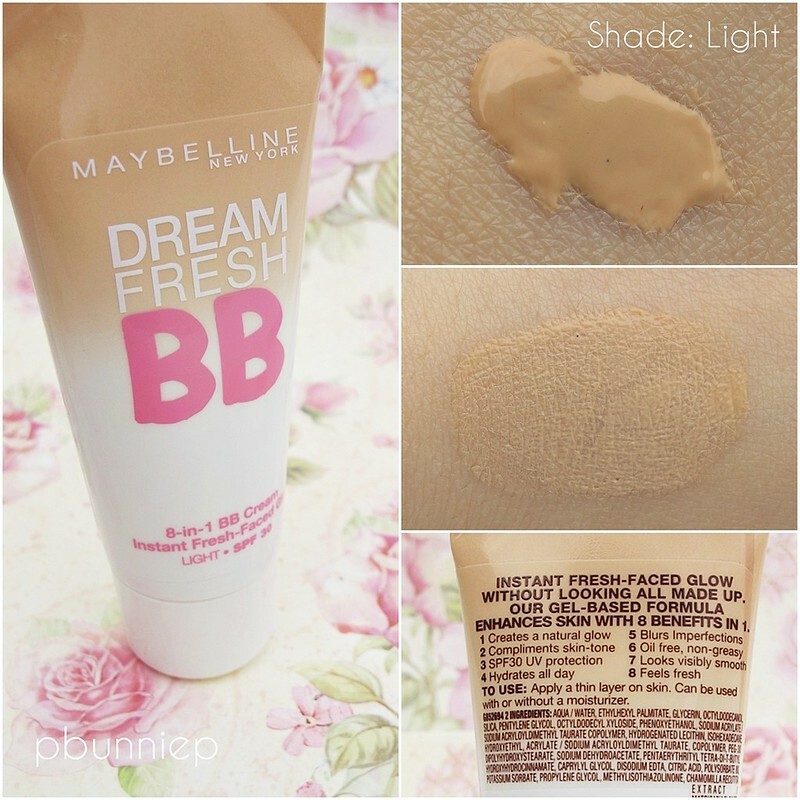 As I mentioned in the video, Maybelline's Dream Fresh BB isn't quite the same a the Asian concept and therefore you'll likely be rather disappointed if that is what you expecting. If you approach this as a multi-tasking tinted moisturizer then it's going to woo a lot more people out there. For starters I am thrilled about the higher SPF30 factor which I consider to be my minimum for sun protection, especially since I am very fair. Anything less than that, say SPF15 in my moisturizer, just sounds rather silly if I am going to rely on that as my prime form of SPF. The shade in "light" is much more of an apricot beige than the yellow beige which it swatched on camera. This may not be a bad thing as apricot shades are often considered to illuminate and brighten dull skintones. However on me, it is still slightly too dark in intensity in comparison to my neck/chest. Here I've applied it on my bare skin which just balanced any colour evenness to my skin but didn't cover anything major. I love the way that it doesn't look powdery and the finish is incredibly natural. Here's how it looks set with a pressed powder compact, Maybelline Angel Fit powder which is one of favourites. Together it offers just a bit more coverage. The ingredients for this BB creams reads a lot like any regular foundation. I've typed it out below for your reference as it's really hard to take a photo of it on the curved tube packaging. NOTE: Pop a primer underneath to ensure oil control and all day wear or else this does grease up easily. I'd have to say that I am very impressed by this drugstore gem and I am completely settled now that I know the SPF30 comes from a physical sunscreen (I'm crazy reaction to many chemical sun protectants). Although oil control isn't great and my shade isn't perfect, it doesn't take away from the fact this is a beautifully formulated product with a texture that rivals many higher end brands. I will continue to use this with a primer for the summertime on those "I'm not wearing any makeup" days and I think it will be a super loveable product come the Canadian winter. 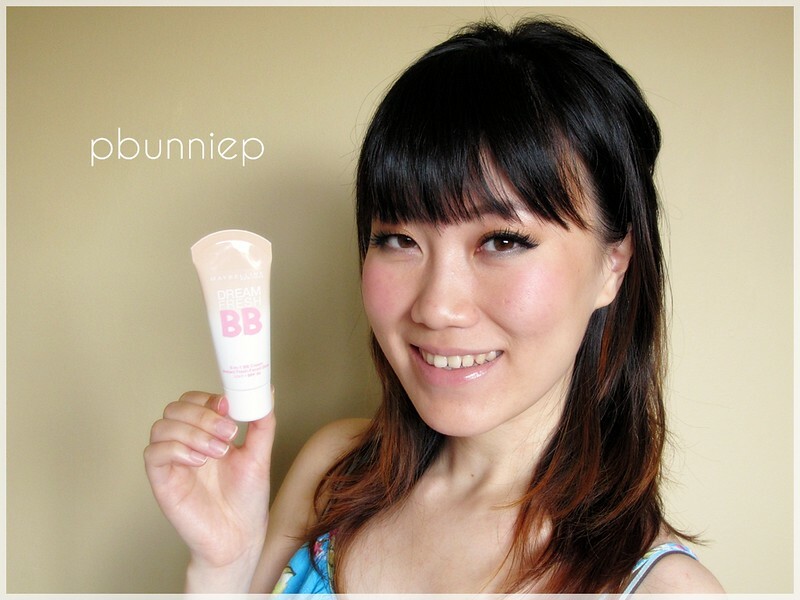 A true skin healing BB cream this is not but a wonderful tinted moisturizer? Yes it is! it's not yet available at my local drugstore.i have a yellowish undertone and this one looks promising! It's a little more apricot than the yellow it looks in the photograph but certainly not pink toned which is good. I believe the next shade down is a little more yellow than light. 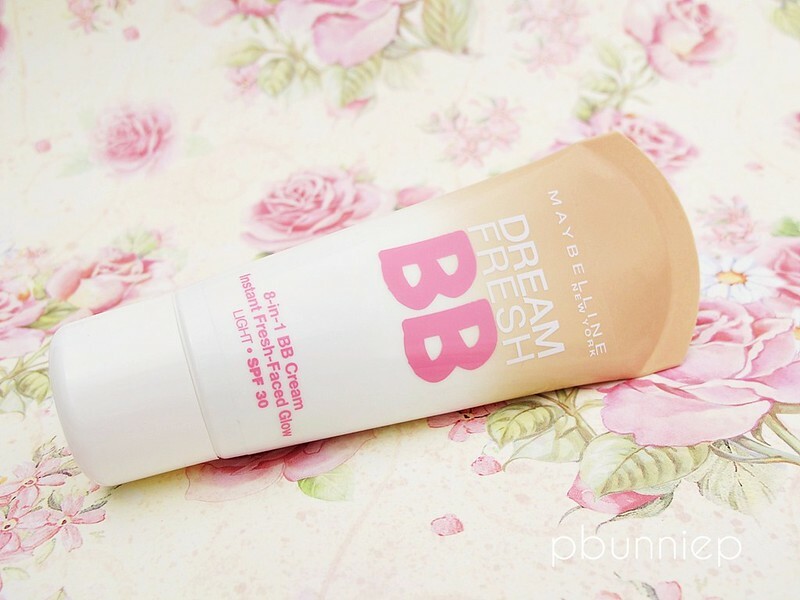 I hear only good things about these BB creams, I have to try them. Thanks for dropping by. Just went to check out your blog. It's so spunky and colouful! I was hoping this would give a bit more coverage, but oh well! You are just adorable and have a very soft and sweet style. I appreciate your research and all the effort you put into your presentations. I was just wondering about your suggestion of using a primer under BB creams. I have heard that primers seal in skin care treatments that have been applied under primer. So, do primers make a barrier that keeps the benefical ingredients of BB creams from penetrating the skin? Thank you! Hi! I am new to ur blog, and I like ur thorough review! Just wanted to add that altho I also like this tinted moisturizer alot, don't depend on it for the SPF 30, that's a complete lie! It only contains 1.15% Titanium Dioxide, which isn't even enough to be SPF 15!! *pheeeeww* I'm glad I'm not the only one who was skeptical about the SPF. I do always wear an extra sunscreen underneath "foundation" products because I usually never use enough product to act effectively as protection anyways. If I did, I would be a cake face! Hmm.. you're tempting me to go out to try this. I don't really need much coverage on a day to day basis but always looking for a product that's quick and easy. Just might pop out to grab this to try! I live in France and found another version of this in a blue bottle - it says it is for oily skin and contains salicylic acid and I find it amazing! I have really oily skin but it doesn't make me greasy, it stays put all day and sweat doesn't melt it off which is amazing as I live in a hot humid place!